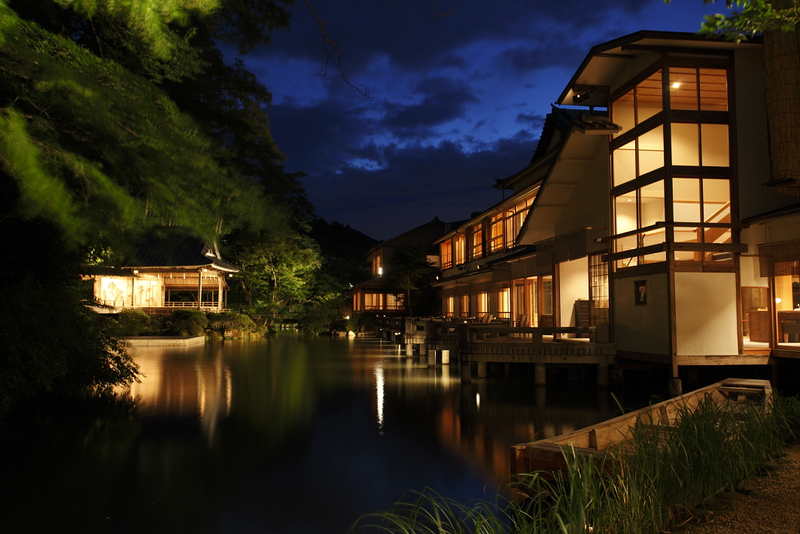 This contemporary ryokan is in a traditionally serene waterside setting. 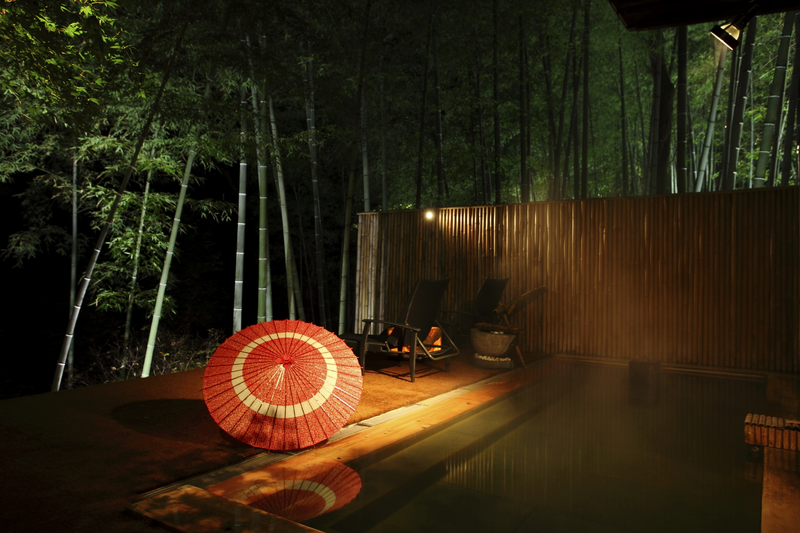 Families can bathe outdoors and enjoy the bamboo garden at Ryokan Takefue. 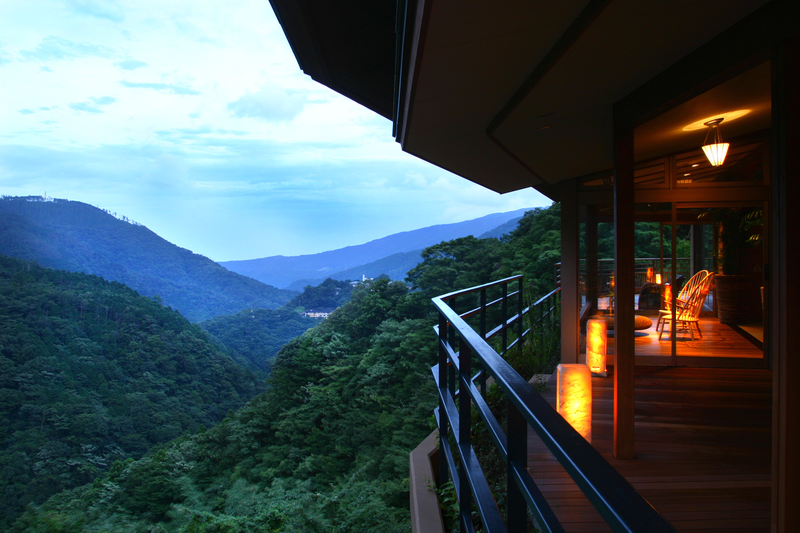 Ryokan Hakone Ginyu, with its beautiful views, is surprisingly close to busy Tokyo. 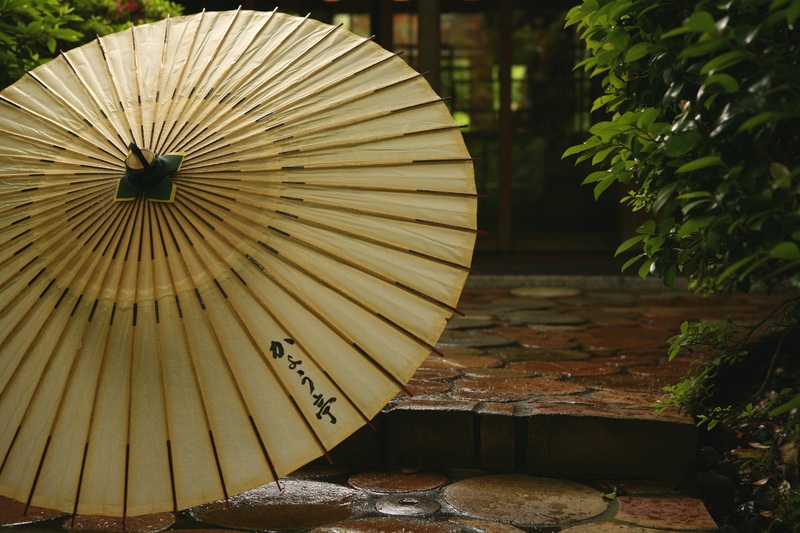 Tradtional handcrafts like this wagasa umbrella are available at Ryokan Kayotei. Families traveling to Japan who want to give their children a taste of authentic Japanese hospitality will find it easier than ever plan their vacations, thanks to the Ryokan Collection. For those who don’t know, a ryokan is a traditional Japanese-style inn, the likes of which have been a central part of Japanese culture for centuries. The charm of the ryokans is that they are authentic and they evoke the spirit of omotenashi, the heart of authentic Japanese hospitality, cultivated over a 1,300-year history. Will a Ryokan Hotel be Fun with Family? Yes! While ryokans can be a great choice for families, until recently it was tricky to find just the right one because no two are alike. Guests typically stay in lavish Japanese-style rooms with tatami mat floors and sleep on traditional-yet-comfortable futon beds, though most locations also have rooms with western-style beds for guests who prefer them. Some even have in-room hot spring baths. To make the choosing easier, the Ryokan Collection is a marketing group or consortium of 22 ryokan and small luxury hotels that have already been vetted for you, being categorized as “Heritage,” “Contemporary,” or “Traditional” for ease of selection. There are descriptions of each property on the website, along with a map that tells you where they are. To get the word out about its properties, the Collection just launched three new promotions, including a Loyalty Program; a menu of cool, curated Japanese items that guests can buy; and a menu of experiential programs you can book while there. The Loyalty Program, which launched in December 2015, has already had 22,000 individual guests book a ryokan stay through the program and become members. Membership, which is automatic and completely free, comes with a a one-night free stay on completion of 10 stays within two years, as well as other discounts. Shoppers can choose from a hand-picked collection of handcrafted pottery, clothing and sake, among other items, all the while interacting with local craftpersons and artisans. The Premium Items section of the Ryokan Collection website beautifully displays many of the locally hand-crafted items you will find if you stay at a ryokan. The Experiential Program offers activities tailored to the region where each property is located. These include ?exclusive access to private art galleries, personalized tours of a saké breweries, and Japanese kaiseki (haute dining) in a ryokan, among other venues. Please visit the Ryokan Collection for more information on reservation policies and rates; a Japan travel specialist can also use the site to help plan your visit. Nightly rates vary widely, but average out at about US$377 per person per night, including breakfast and a full-course dinner. Of course, the unforgettable spirit of omotenashi is included as well. All photos provided courtesy of The Ryokan Collection.